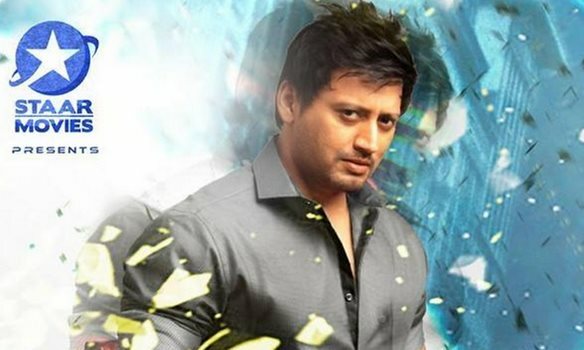 After a gap, Prashanth was coming with an adventure flick titled Saahasam under the direction of debutant Arunraj Varma. Presently, Saahasam was shooting some important scenes on the main lead Prashanth, Australian Beauty Amanda and Nassar. The Saahasam team will be flying down to Bangkok and Malaysia for the film’s shooting. After canning some important scenes and songs from May 23rd onwards, the team intends to launch the audio in Malaysia on June 6th. Many celebs from Kollywood, including Anirudh, have agreed to make it to the audio launch function, confirm sources close to the film unit. Thaman has composed music for this Prashanth starrer and a few months earlier the producer of the film, Thiyagarajan, had gifted a luxury car to the music director for coming out with some great scores, it may be recalled here. As per the news, Saahasam movie was almost near to completion and the team was very confident on the success of this star studded adventurous film. In Saahasam, Bollywood Hot Beauty Nargis Fakhri done an item number in this flick. Thiagarajaan was providing dialogues,screenplay and story for the film under his own production.